Samsung leads the smartphone market, despite its too many battles against the gaint Apple, spread over half the continents. The company has let down its low end models. The Korean company, launched its low end Java Touch mobiles long back in the June of 2010, Under the series named Champ. Samsung C3300K (or C3303 Champ) was the first model of the series. As it was the beginning of the Smartphone trend, the mobile had a decent welcome in India, It started replacing the basic mobiles. Touch Phone era has brought desire in most of the people (atleast for those who are aware that something revolutionary is happening in the mobile technology). The Entry of Android, battling against the existing giants like the iOS, Blackberry OS, WP, Meego made the number of smartphones available increase in great numbers. Growing development enhanced the Touchphones with Android OS and lots of mobiles were pouring out. Every week there were atleast 2 mobiles newly releasing in the near end of 2010. 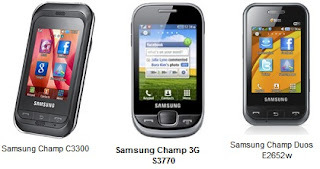 Sammy took the advantage of the craze for touchmobiles and the interest in Dual sim mobiles and gave a hybrid mobile combining the features of the Duos series and Champ series as Samsung Champ Duos E2652 announced. World is getting too hasty. Everyone needs speed. Everyone needs things done quick. Why not mobile users wish speed? 3G Technology provided us with download speeds of 7.2 Mbps. 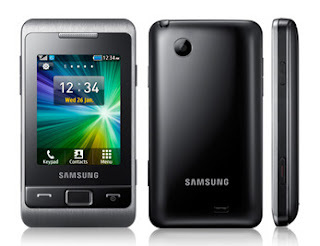 Samsung announced Samsung S3770 (a.k.a Samsung Champ 3.5 G). Still Samsung feels, its customers are not satisfied. The Former released Champ had just 1.3 MP camera which was so disappointing. FM recording was not included. Added with this features is the next ‘Coming Soon’ Samsung Champ 2 (model number C3330). Not many Java Apps are supported. The device is not robust. You may get the camera damaged if you drop down, But still nothing happens to the device. But still considering the money you pay for the device and considering the facilities, the Cons are not to be worried about.